We love seeing more and more mums and families choosing modern cloth nappies over disposable ones. But as this style of nappy is still reasonably new, there can be a lot to learn, particularly when it comes to caring for your nappies. When you buy modern cloth nappies, you want them to last. They’re more expensive upfront than disposables, but if you look after them that could easily last through more than one baby. Of course, it’s that maintenance that is key. Over time modern cloth nappies might start to become less absorbent, leak, or even smell after being washing. Don’t stress. You don’t have to throw the nappies away and buy new ones. All they need is a good strip wash. Strip washing will help to get rid of the residue that builds up on those nappies over time, which makes them less absorbent. However, after a strip wash they’ll be good as new. But, What Causes The Residue Build Up? There are a few different things that can do it. Remember that unlike disposables, modern cloth nappies remember what you’ve done with them. They aren’t just chucked after use, and their absorbency can be tricky to maintain at first. You can get residue build up on your nappies from using nappy creams without nappy liners, using too much soap powder when you wash them (we’ll talk more about this later), accidentally using fabric softener or wool wash on the nappies, or simply because your washing machine isn’t getting all the soap out. Okay. How Do I Do A Strip Wash? We should preface this by saying that different modern cloth nappy manufacturers often provide their own strip washing method that is best suited for their nappies and the materials use in them. Check first for any specific strip washing instructions that were provided with your nappies, or on the manufacturers website. If they don’t have any, then continue. For starters, wash all of your nappies in hot water without any soap so that you are ‘stripping’ clean nappies. Rewash nappies with ½ cup white vinegar and ½ cup bicarbonate of soda (to your rinse cycle). Do not use brown vinegar as it will stain the nappies. Run them through another hot wash without soap. You do not need to dry the nappies between each step. Once you have completed the strip wash, it is preferable that you line dry the nappies in the sun. Sunshine is a winner at removing stains and smells. 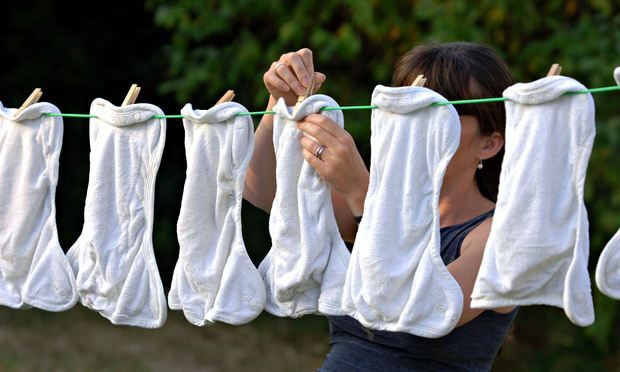 You do not need to do strip washing regularly; in fact over-doing it can be detrimental to the nappies. Only do this every few months or when you notice that your nappies aren’t as amazing as they used to be. Modern cloth nappies are in a different league to disposable nappies. If you buy cloth nappies for your first child, it’s highly likely that you’ll be able to use the same ones with baby number 2, as long as you take some steps to keep them looking new and amazing. Modern cloth nappies don’t need a lot of washing powder when they get washed. In fact you should only be using about ¼ – ½ the amount of washing powder that you’d use for a similar sized load. Remember, the nappy loads will be small, because the nappies are small. Also, don’t use any bleaching agents like Napisan. They’ll make the elastics degrade and the material break down over time. Using a dryer with modern cloth nappies means that you’re doing damage that wouldn’t happen with a line dry. We know, it’s hard to wait for things to dry in the sun, and naturally drying means you might need more nappies, but if you want them to last avoiding the dryer is key. The thing that will make you dump your modern cloth nappies is a failure in the leg elastics. This is what keeps everything ‘contained’ in the nappy. So when you hang them on the line make sure you aren’t stretching those elastics out. Using flushable nappy liners is a smart idea for two reasons. First, it reduces the chance of staining the nappy. Second, it’s much easier to pick the nappy liner up, dump it in the toilet, and move on with your day. Simple. 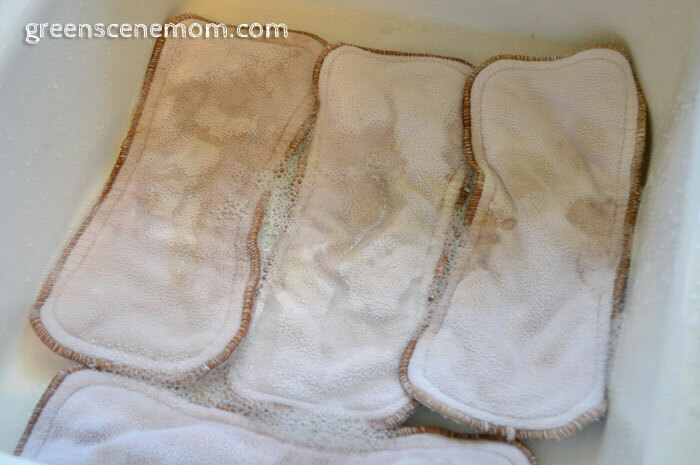 Over time nappy creams build up on the surface of the nappy and make it less absorbent. Either ditch the creams, or use a flushable nappy liner to give you a layer between the nappy and the cream. Unlike creams, powders work find with the nappies. Hopefully this has provided some useful information on the new and exciting world of looking after your modern cloth nappies. 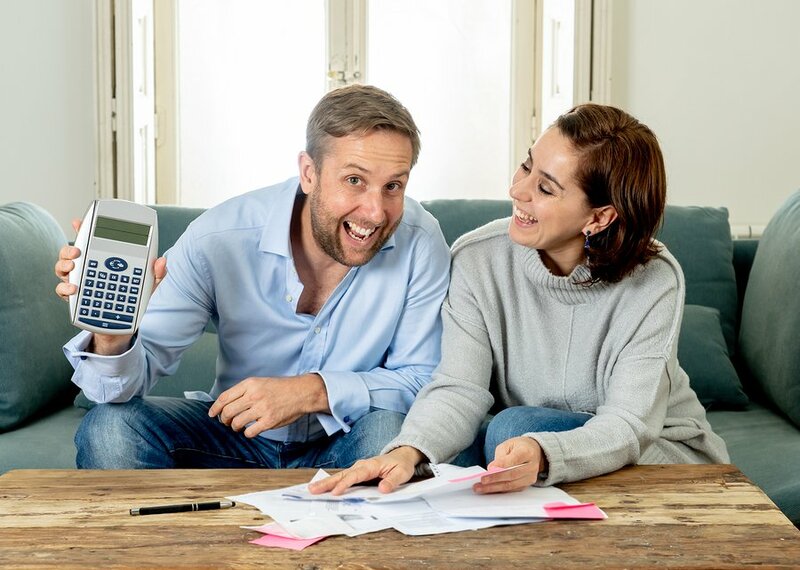 We’re happy to answer any questions you might have! Are you a modern cloth nappy convert?